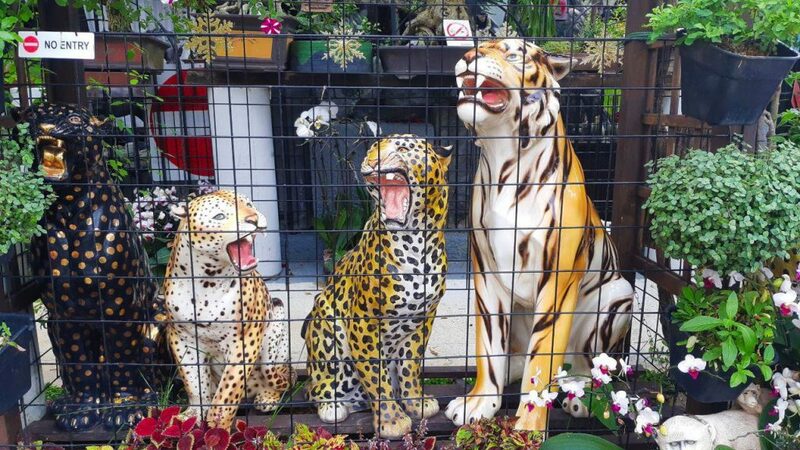 Mr Cheong Boo Wee’s private “zoo” has drawn some public ire, but he’ll continue collecting both real and fake animals. You name it. 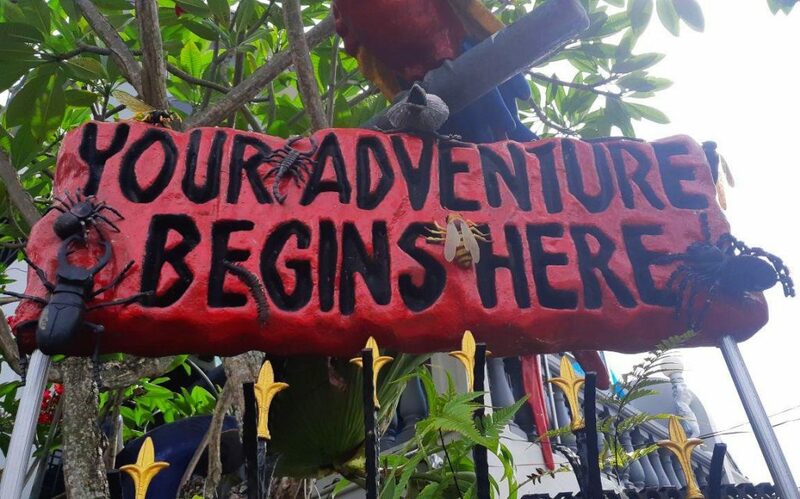 He has it – whether it’s roaring big cats, life-size apes or larger-than-life dragonflies, arowana fish and exotic birds. 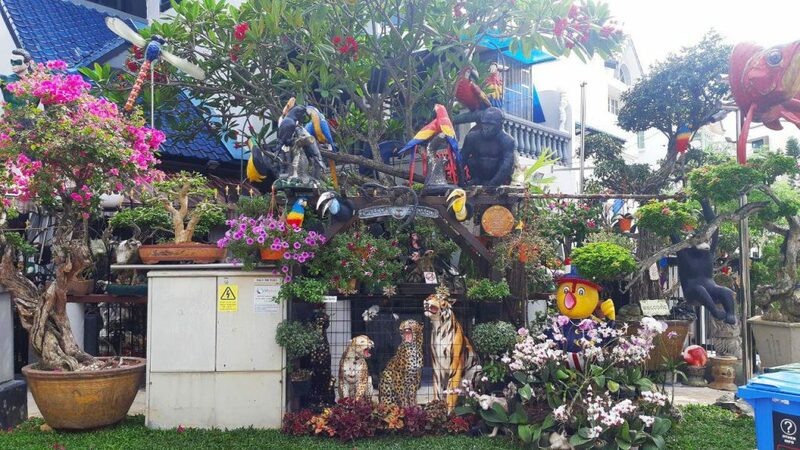 Mr Cheong Boo Wee, 64, is the proud owner of this assemblage of animal statues. The former president of a multinational firm has them displayed outside his house at Jalan Chempaka Kuning in Tanah Merah. Members of the public are welcome to visit his “mini zoological garden”, which cost him more than $150,000 to put together. He also repaints and rearranges his statues yearly to make sure his “zoo” looks good. Mr Cheong’s penchant for collecting animals – both real and fake – started decades ago. As he moved from a 5-room flat to a maisonette and then a semi-detached house, his collections also grew bigger and bigger. Besides animal sculptures, Mr Cheong also keeps a collection of real exotic birds worth more than $250,000. His personal favorite is a very rare black palm cockatoo, which has kept him company for more than 15 years. 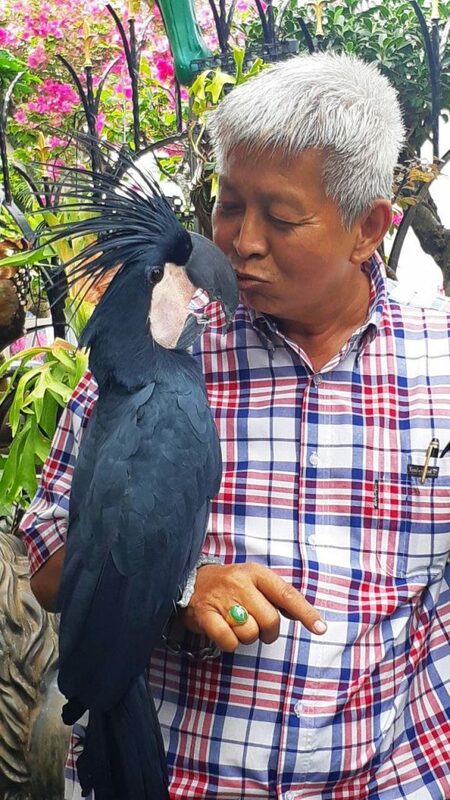 As age continues catching up with him, Mr Cheong said he no longer has the capacity to spend as much time caring for his birds as he did in the past. As such, he’s given away some of his 35 birds. 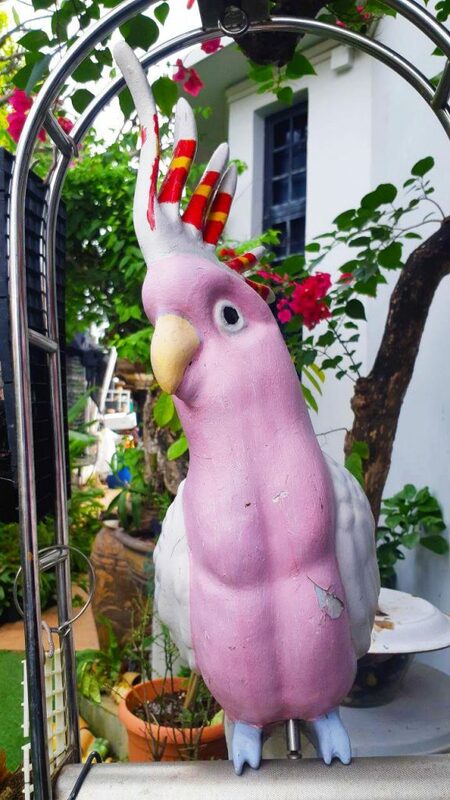 While Mr Cheong’s quirky private “zoo” has its fair share of fans among some residents, passers-by, and tourists, it’s ruffled the feathers of a neighbor, who lodged a complaint to the Land Transport Authority (LTA) about the display of his statues on a public pavement. 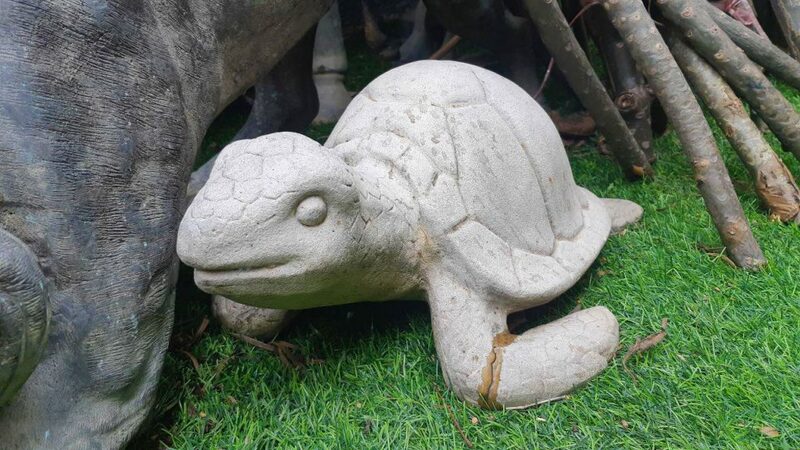 Mr Cheong was ordered to remove his statues, but he argued that the space that his “zoo” occupied was never a public footpath, but a grass verge which was cemented at his request. He added that many in his neighborhood appreciate his “zoo” and do not see it as being obstructive. 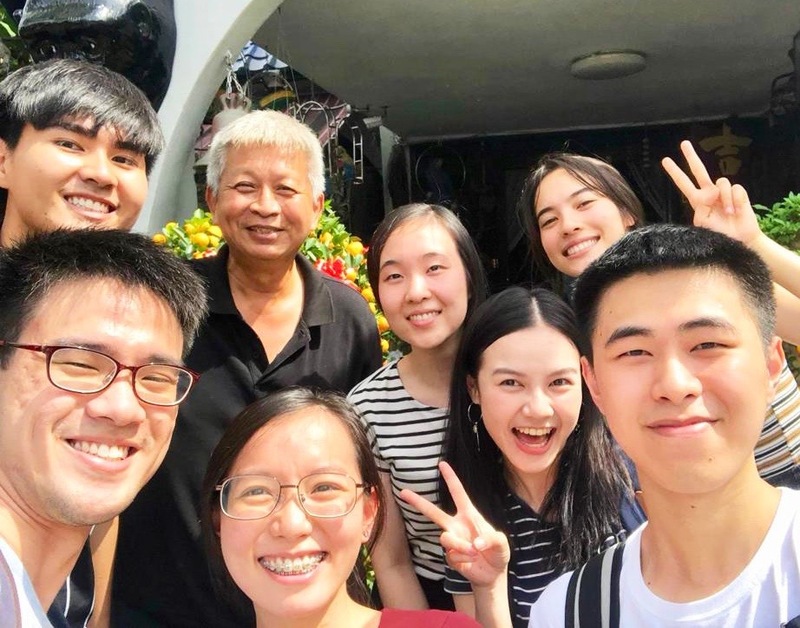 Whether his feud with his neighbor can be resolved remains unknown, but Mr Cheong is certain that he wants to keep his “zoo” going to bring more people together and keep the community spirit alive.